Dubai, UAE, July 08, 2018: Formula 1® Managing Director of Motorsports Ross Brawn and Mercedes-AMG Petronas Motorsport driver Lewis Hamilton will mark a new milestone today for Formula 1® by launching the first-ever crowd-sourcing competition in a global sport which will turn a fan's idea from concept to reality. Tata Communications' F1® Innovation Prize is set to transform how fans watch, experience and engage with the sport by challenging them to present breakthrough ideas which will see one overall winner rewarded with USD $50,000 and the chance for their winning idea to be incubated and prototyped at Formula 1®'s Media & Technology Centre (MTC) in the UK. 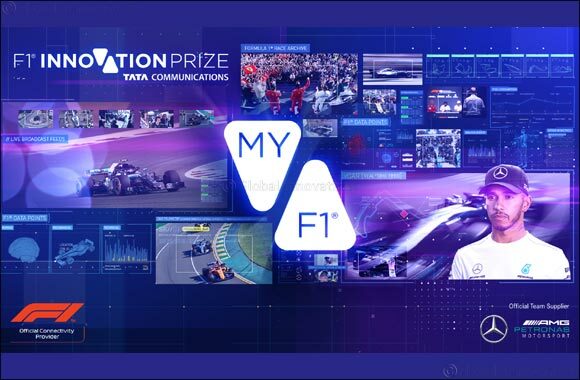 Now in its fifth year, the competition is a joint innovation initiative by Tata Communications, Formula 1® and Mercedes-AMG Petronas Motorsport. For 2018, the “My F1®” themed challenge seeks ideas that bring fans closer to the cockpit. It asks entrants to take the sport's unique set of human, mechanical and technical data and combine them with the publishing and broadcast capabilities of Formula 1®. The aim is to create the ultimate customised, immersive viewing experience for fans worldwide. This could be in the form of an app, a homepage or even a way of joining up interactive content across a dozen different devices. The theme for this year supports the drive by Formula 1® to ensure everyone - from trackside fans to the most casual armchair viewer - can engage with the sport through a level of customisation that breaks the barriers of language and technical know-how. It's a push that is already changing the way people watch and engage with the sport with innovations such as the new halo graphics and live Twitter shows. The next step on this digital drive is for a fan's idea from the F1® Innovation Prize to be turned into a real technology solution at Formula 1® 's MTC. Mercedes-AMG Petronas Motorsport Driver and four-time FIA Formula 1® Drivers' World Champion, Lewis Hamilton, said: “Nobody is better qualified to tell us what the fans want than the fans themselves. Bringing people closer to the sport is one thing, but asking them to help develop their sport is the next step.